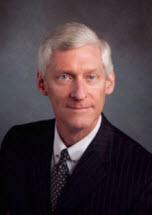 David C. Alford joined the firm in May 2010, after being in solo practice for 22 years. He has a strong background in creditor’s rights, consumer’s rights, bankruptcy, business and financial counseling, business entities, real estate, probate and civil litigation. He graduated from Baylor University in 1980 with a degree in Business Administration and from Baylor Law School in 1982 with his J.D. degree. David is an avid outdoors-man who enjoys hunting, fishing, backpacking, softball and all other sports. He is active in the community and in Columbus Avenue Baptist Church.